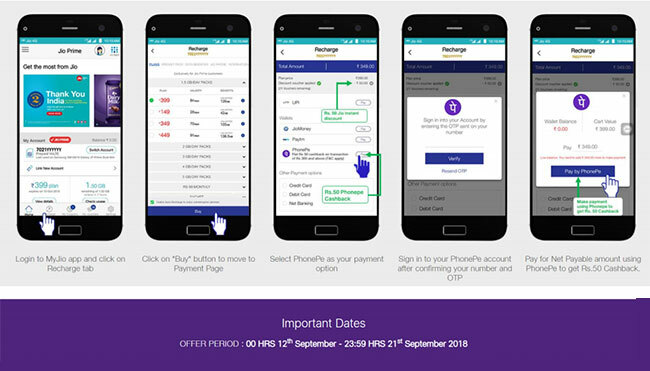 Reliance Jio new discount offer: The offer period starts from September 12, 2018 and is valid till September 21, 2019. Reliance Jio offering free voice and unlimited data (42 GB) per month for 3 months at Rs 100 per month. On the occasion of its second anniversary, Reliance Jio has been offering discount and cashback offers. It has again come up with a new offer under which it is offering the Rs 399 plan at Rs 299. Under the discount scheme, Reliance Jio offering free voice and unlimited data (42 GB) per month for 3 months at Rs 100 per month. 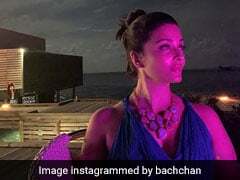 However, the offer period starts from September 12, 2018 and is valid till September 21, 2019, said the Mukesh Ambani-owned telecom company in a press release. Reliance Jio's new Rs 100 instant discount comprises of 2 components. 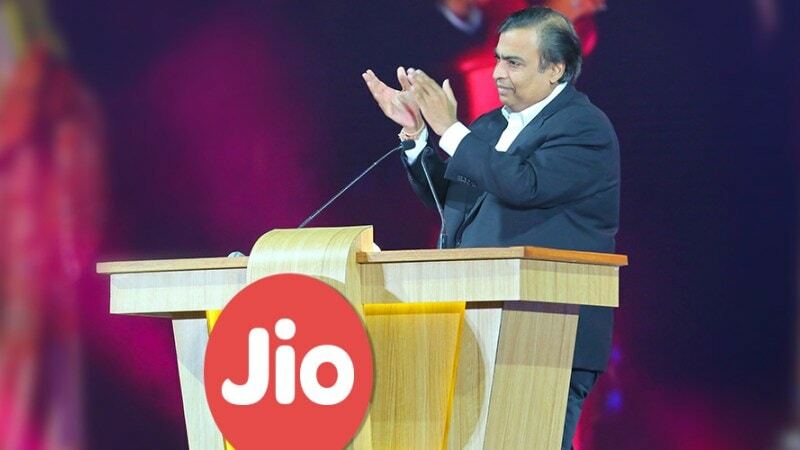 Jio prepaid users will get Rs 50 instant discount who have Rs 50 cashback vouchers from Jio on recharging via MyJio App and Rs 50 instant cashback when payment is done via PhonePe, inside MyJio App. Under this pack, Reliance Jio offers 126 GB of data with a daily limit of 1.5 GB. This recharge pack comes with a validity period of 84 days and includes unlimited calling, 100 SMSes per day and complimentary subscription of Jio apps. Recently, it offered daily 2 GBs of free additional data under the scheme called as 'Celebrations Pack'. Reliance Jio is also offering 1 GB of free additional 4G data to its subscribers on scanning a barcode from Dairy Milk chocolate wrapper. The offer is available on MyJio app till September 30.